POLYMER film that gradually releases DNA coding for viral proteins could offer a better alternative to traditional vaccines. Vaccines usually consist of inactivated viruses that prompt the immune system to remember the invader and launch a strong defense if it later encounters the real thing. However, this approach can be too risky with certain viruses, including HIV. In recent years, many scientists have been exploring DNA as a potential alternative vaccine. About 20 years ago, DNA coding for viral proteins was found to induce strong immune responses in rodents, but so far, tests in humans have failed to duplicate that success. In a paper appearing in the Jan. 27 online issue of Nature Materials, MIT researchers describe a new type of vaccine-delivery film that holds promise for improving the effectiveness of DNA vaccines. If such vaccines could be successfully delivered to humans, they could overcome not only the safety risks of using viruses to vaccinate against diseases such as HIV, but they would also be more stable, making it possible to ship and store them at room temperature. This type of vaccine delivery would also eliminate the need to inject vaccines by syringe, says Darrell Irvine, an MIT professor of biological engineering and materials science and engineering. “You just apply the patch for a few minutes, take it off and it leaves behind these thin polymer films embedded in the skin,” he says. Irvine and Paula Hammond, the David H. Koch Professor in Engineering, are the senior authors of the Nature Materials paper. Both are members of MIT’s David H. Koch Institute for Integrative Cancer Research. The lead author of the paper is Peter DeMuth, a graduate student in biological engineering. Scientists have had some recent success delivering DNA vaccines to human patients using a technique called electroporation. This method requires first injecting the DNA under the skin, then using electrodes to create an electric field that opens small pores in the membranes of cells in the skin, allowing DNA to get inside. However, the process can be painful and give varying results, Irvine says. “It's showing some promise but it's certainly not ideal and it's not something you could imagine in a global prophylactic vaccine setting, especially in resource-poor countries,” he says. 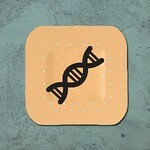 Irvine and Hammond took a different approach to delivering DNA to the skin, creating a patch made of many layers of polymers embedded with the DNA vaccine. These polymer films are implanted under the skin using microneedles that penetrate about half a millimeter into the skin — deep enough to deliver the DNA to immune cells in the epidermis, but not deep enough to cause pain in the nerve endings of the dermis. Once under the skin, the films degrade as they come in contact with water, releasing the vaccine over days or weeks. As the film breaks apart, the DNA strands become tangled up with pieces of the polymer, which protect the DNA and help it get inside cells. The researchers can control how much DNA gets delivered by tuning the number of polymer layers. They can also control the rate of delivery by altering how hydrophobic (water-fearing) the film is. DNA injected on its own is usually broken down very quickly, before the immune system can generate a memory response. When the DNA is released over time, the immune system has more time to interact with it, boosting the vaccine’s effectiveness. The polymer film also includes an adjuvant — a molecule that helps to boost the immune response. In this case, the adjuvant consists of strands of RNA that resemble viral RNA, which provokes inflammation and recruits immune cells to the area. The ability to provoke inflammation is one of the key advantages of the new delivery system, says Michele Kutzler, an assistant professor at Drexel University College of Medicine. Other benefits include targeting the wealth of immune cells in the skin, the use of a biodegradable delivery material, and the possibility of pain-free vaccine delivery, she says. “It’s an interesting approach that can be applied not just to delivery of DNA-based vaccine antigens, but other small molecules,” says Kutzler, who was not part of the research team. In tests with mice, the researchers found that the immune response induced by the DNA-delivering film was as good as or better than that achieved with electroporation. To test whether the vaccine might provoke a response in primates, the researchers applied a polymer film carrying DNA that codes for proteins from the simian form of HIV to macaque skin samples cultured in the lab. In skin treated with the film, DNA was easily detectable, while DNA injected alone was quickly broken down. “The hope is that that's an indication that this will translate to large animals and hopefully humans,” Irvine says. The researchers now plan to perform further tests in non-human primates before undertaking possible tests in humans. If successful, the vaccine-delivering patch could potentially be used to deliver vaccines for many different diseases, because the DNA sequence can be easily swapped out depending on the disease being targeted. “If you're making a protein vaccine, every protein has its little quirks, and there are manufacturing issues that have to be solved to scale it up to humans. If you had a DNA platform, the DNA is going to behave the same no matter what antigen it’s encoding,” Irvine says. THE Malaysian health minister has urged the public to avoid buying teeth braces online as they were suspected of containing lead.. THE app, which identifies gene mutations that cause illnesses is expected to revolutionise the healthcare industry in Malaysia, save lives and reduce the cost of the healthcare budget. A DRUG developed at Linköping University in Sweden protects against the side effects of cancer treatments while strengthening the effects on the tumour.